Simon Woods currently serves as Chief Executive Officer of the Los Angeles Philharmonic Association. Prior to joining the Philharmonic in January 2018, Woods was President & CEO of the Seattle Symphony, a post he held for seven years. Born in London, England, Woods previously held positions with the Royal Scottish National Orchestra (RSNO), one of the United Kingdom’s leading symphony orchestras, as Chief Executive; as President & CEO of the New Jersey Symphony Orchestra; and Vice President of Artistic Planning and Operations at The Philadelphia Orchestra. For almost a decade, from the late 1980s to the late 1990s, he worked as a record producer with EMI Classics in London, where he initiated and produced recordings with many of the world’s foremost classical artists and ensembles. Simon Woods earned a degree in music from Cambridge University, and a postgraduate diploma in conducting from the Guildhall School of Music and Drama. He has been a Board Member of Cultural Access Washington and the Seattle Metropolitan Chamber of Commerce and was a Board Member of the League of American Orchestras and American Composers’ Forums. He is a long-standing contributor to the League’s professional development programs, including being a core faculty member for the League’s signature training program, Essentials of Orchestra Management, in 2016 and 2017.
long time believer in community engaged music making, he recently started The Leading Tone, a non-profit after school program. The project brings music instruction to kids while exploring music as a context for youth development. lex is fortunate to have garnered honors and awards in his career, most recently being recognized with a 2018 Sphinx Medal of Excellence and named one of Musical America's Professionals of the Year for 2017. A former fellow of the Tanglewood Music Center, Aspen Music Festival, New World Symphony and Detroit Symphony Orchestra, he has in recent years been an invited speaker to the annual conferences of both the Association of British Orchestras and the League of American Orchestras. He was a faculty member for the 2017 National Take A Stand Festival and the 2018 League of American Orchestra's 'Essentials of Orchestra Management Seminar' and serves on the board of directors for Gateways Music Festival and Arizona School for the Arts. From 2001 to 2015, Scott Faulkner was Executive Director of the Reno Chamber Orchestra. During his tenure many lives were positively impacted by the power of the RCO’s music, the orchestra’s budget more than doubled, and the internationally acclaimed Nevada Chamber Music Festival was founded. Faulkner is associate seminar director of the League of American Orchestra’s Essentials of Orchestra Management seminar, and is a regular presenter at other League gatherings throughout the year. A 2002 Essentials graduate himself, later that year he was named by the Nevada Business Journal one of the state’s top ten business executives under the age of 40. He regularly consults with orchestras and arts groups across the country. An active musician, Faulkner is the principal bassist of the Reno Philharmonic and the Reno Chamber Orchestra, having played in both groups since 1995. He has performed with orchestras and ensembles around the country including Classical Tahoe, Fresno Philharmonic, Tacoma Symphony and Tacoma Opera. He is also board president of Project: Music Heals Us, a non-profit that brings chamber music of the highest caliber to diverse audiences, focusing on elderly, homeless, and incarcerated populations. He sits on the advisory boards of Note-Able Music Therapy Services and the Reno Jazz Orchestra. An advocate for the music of our time, Faulkner has been directly involved in commissioning works from composers such as Osvaldo Golijov, David Ludwig, Joseph Schwantner, Christopher Theofanidis, Joan Tower, James Winn, and Zhou Tian. He sits on the steering committee of New Music for America, chaired the national committee of the Ford Made in America commissioning project (In 2008 the RCO gave the world premiere of Pulitzer prize-winning composer Joseph Schwantner’s “Chasing Light…”), and has served as a grant panelist for the Aaron Copland Fund for Music. 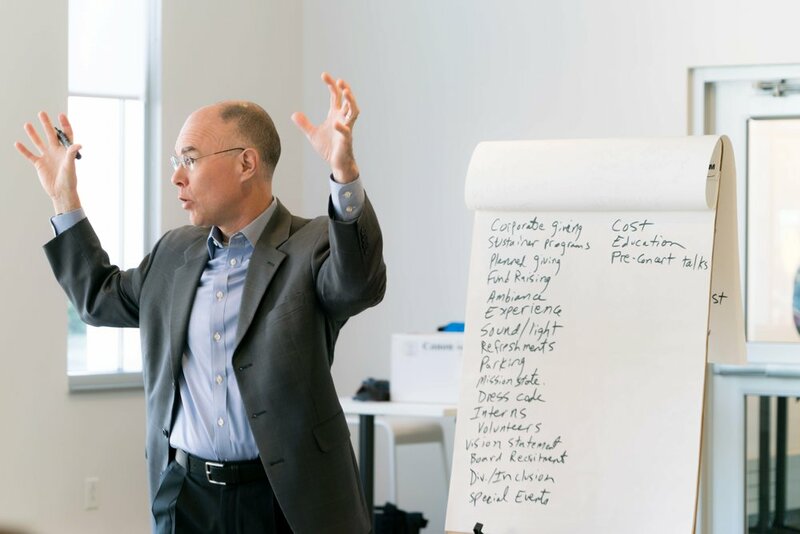 Since becoming President and CEO of the League of American Orchestras in 2008, Jesse Rosen has been a leading voice for the League’s more than 2,000 member organizations and individuals, empowering them with knowledge and perspective to navigate a rapidly changing environment. During his nineteen-year tenure at the League, Rosen has been instrumental in overseeing the League’s renewed focus on developing longitudinal research benefitting the entire orchestra field, and has created new programs and initiatives in the areas of diversity, artistry, leadership development, governance, capitalization, and community engagement, including Ford Made in America, the largest-ever orchestra commissioning consortium; the Ford Musician Awards for Excellence in Community Service; Music Alive, supporting composer residencies; and the American Orchestras’ Futures Fund, promoting experimentation and innovation. There has been an exponential increase in the number of members benefitting from League programs and initiatives, as well as an upturn in the profile of orchestras among the nation’s cultural, policy, and opinion leaders. Under his direction, the League has been a catalyst for the orchestra field’s collective action around diversity and inclusion, including the drive to increase participation of musicians from underrepresented communities through a number of endeavors – an annual Forum, national task forces, an online resource center, and more. Rosen serves on the boards of the American Composers Orchestra and the Performing Arts Alliance, and is a member of the National Center for Arts Research Board of Advisors. He speaks regularly at major arts convenings, and is a frequent guest of conservatories and schools of music. Rosen is a lifelong musician and experienced orchestra executive who has served as general manager of the Seattle Symphony, executive director of the American Composers Orchestra in New York City, and orchestra manager of the New York Philharmonic. A trombonist, Rosen received his bachelor’s degree from the Manhattan School of Music and pursued graduate studies at The Juilliard School. Jennifer Barlament joined the Atlanta Symphony Orchestra in January 2016 as Executive Director. Together with Music Director Robert Spano, Jennifer will continue to define and execute the strategic vision for the Atlanta Symphony Orchestra, both artistically and financially, while engaging key audiences to make that vision a reality. Jennifer has more than 15 years of experience leading orchestras across the country, most recently as General Manager of the Cleveland Orchestra, where she has served since 2013. In Cleveland, she managed the operations of the Orchestra and its two performance venues, Severance Hall and the Blossom Music Center. A lifelong musician, Jennifer previously served as Executive Director of the Kalamazoo Symphony Orchestra and General Manager of the Omaha Symphony. In 1998, Jennifer was accepted into the highly competitive Orchestra Management Fellowship Program of the League of American Orchestras. She worked in all aspects of orchestra management during Fellowship assignments with the San Francisco Symphony, the New Jersey Symphony, and the Detroit Symphony. Following the Fellowship, she returned to the Detroit Symphony as Director of Special Projects and was then appointed Concert Manager of the Baltimore Symphony. Jennifer earned her Bachelor's degree in music with a minor in physics at Emory University, where she received awards for both music and academic performance. She earned a Master's degree in clarinet performance from the Eastman School of Music in Rochester, NY, where she also founded the New Eastman Symphony. In 2013, Jennifer was the recipient of the League of American Orchestras' prestigious Helen M. Thompson Award, given every two years to an early-career executive director. Jennifer resides in the Midtown area with her husband Kenneth Potsic, a bassoon repair and restoration specialist, and their son David. John-Morgan Bush is working to change the face of classical music in the 21st century and he takes a multifaceted approach to define a new model for the role of the artist-as-administrator. 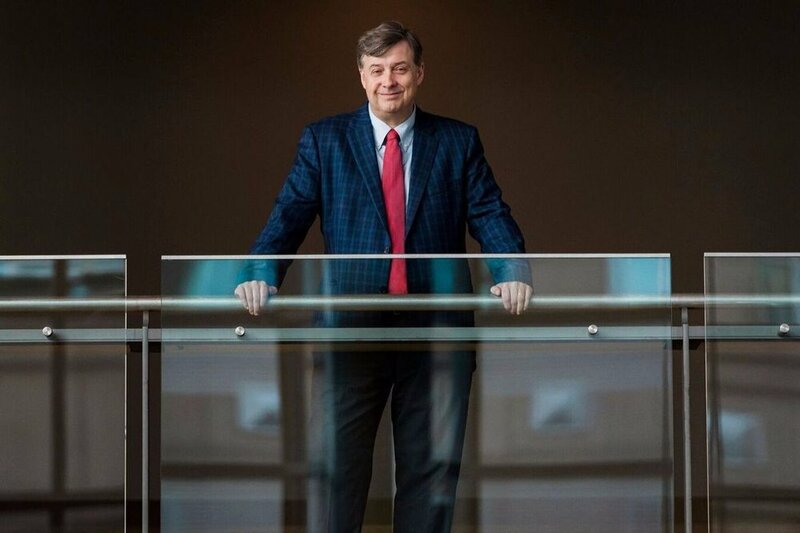 John-Morgan is a Director, Learning and Leadership Programs at the League of American Orchestras where he works to provide innovative programming and resources for the orchestral field at the national level. His program portfolio includes the Bruno Walter National Conductor Preview, The Ford Musician Awards for Excellence in Community Service, the Essentials of Orchestra Management seminar and much more. He holds an adjunct faculty position at the New School University, Mannes School of Music and was formerly on the music faculty at the University of Massachusetts Lowell where he taught courses in applied horn, music education, arts administration, conducted the university string ensemble and was selected as a Difference Maker faculty entrepreneurship fellow. During this time he served as executive director of the national award winning UMass Lowell String Project and has been an Executive Board member and officer of the National String Project Consortium as well as on the Board of Directors of the Juventas New Music Ensemble. Prior to this, he was a teaching artist in the innovative Harmony Program (el sistema) and then became the Director of Education for The Little Orchestra Society, also located in New York City, where he managed music education and community engagement programs which served thousands of New York City public school children, parents and senior citizens. As a concert artist, John-Morgan hit the ground running, after winning second prize in the 2008 International Horn Society Solo Competition in Denver, CO. He is the recipient of the John Clarke Award for Excellence in Brass Performance. In addition to his work as an artist administrator and educator, he regularly performs with orchestras in the greater New York area as well as presenting innovative solo and chamber music recitals across the region. 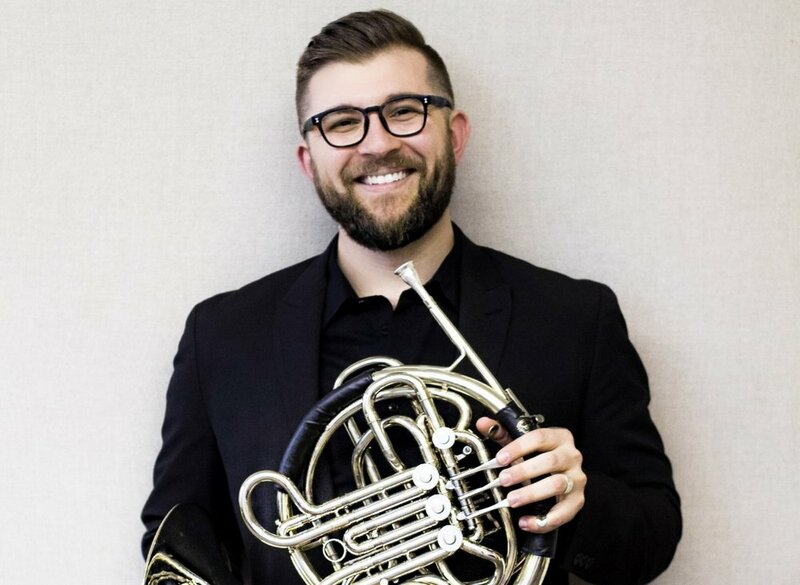 He holds two bachelor's degrees in music performance and music education from the University of Kentucky and a master's degree in classical horn performance from the Manhattan School of Music.